Muscle pain or fatigue (myalgia) is common in patients who clench or grind their teeth (bruxism). Sometimes the pain can be severe. How does the dentist diagnose Myalgia? Myalgia is usually easy to diagnose by pressing lightly on the temple areas, the cheek bones, and the large closing muscles (masseter muscle) at the angle of the mandible. The medial pterygoid muscles can also be evaluated for tenderness by pressing gently on them (which requires access inside the mouth). While diagnosis of myalgia itself may be simple, it is generally a symptom of a bigger problem. 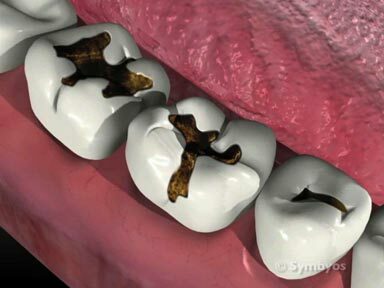 The challenging part is to accurately diagnose its causes, and to rule out contributing diagnoses such as tooth or jaw joint pain. Myalgia itself can be treated in a variety of ways, including use of analgesic medications (i.e. pain medicine), anti-inflammatory medications, moist heat as directed by your dentist or physician, soft diet, and possible treatment with bite positioning appliances (for example, night guards or splints, anterior bite plates, etc.). Your dentist can help decide if these types of appliances might be of assistance to you. Avoidance of foods that are difficult to chew can also help relieve an episode of myalgia. Sometimes adjusting your bite (occlusal adjustment) can help to balance the jaw muscle forces better, providing relief from myalgia. This is especially true if something about your bite has recently changed (for example, a new restoration or a toothache) which is contributing to avoidance of the affected tooth/teeth. Anterior bite plates (a type of occlusal guard) can be especially useful in patients with myalgia of the jaw closing muscles—if the jaw joints themselves are not symptomatic. Essentially, anterior bite plates work on the principle of nociception. Nociceptors are specialized nerves which detect potentially damaging stimuli and send signals to the brain that provoke a response to avoid the potentially damaging behavior. For example, the front teeth contain nociceptive nerve fibers that sense heavy bite forces. 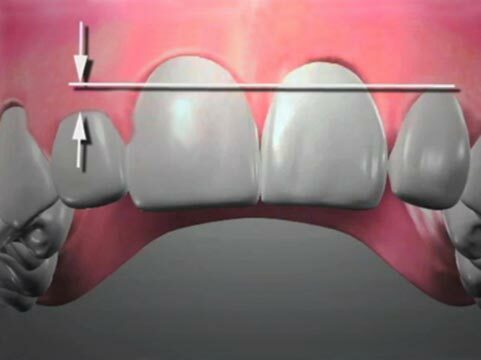 If high forces are encountered, signals are sent to the brain that causes it to reduce jaw muscle contraction forces — thereby protecting the teeth. If you attempt to bite down heavily on any of the front four teeth, nociceptors in the ligaments around those teeth signal your brain not to allow the closing muscles to contract forcefully—otherwise damage to the teeth could occur. In other words, your brain will not let your jaw muscles clamp down forcefully enough to damage the front teeth. Anterior bite plates are made to fit over the front four teeth such that any attempts to bite down heavily are countered by nociception. 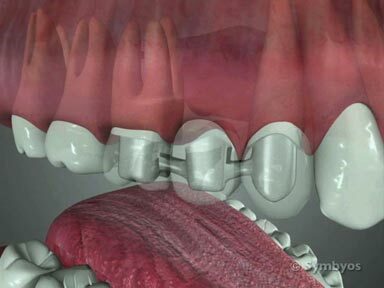 This prevention of heavy muscle contraction forces helps relieve myalgia of the jaw muscles. Alternative treatment options for jaw muscle myalgia which may be effective include massage therapy, chiropractic adjustment, and medical treatment for the behaviors which may be contributing to a bruxing habit. Certain medications, including caffeine and theophylline have been implicated as contributors to bruxing habits. Holistic options for alleviating jaw muscle myalgia are sometimes effective, and include biofeedback, meditation, yoga and stress-management workshops. Regular exercise has many benefits, among them reducing the level of stress hormones which may contribute to bruxing and myalgia.